Is the music game genre oversaturated? Some might say yes. I'd argue otherwise; there's still plenty of good music out there that isn't available in video game form. In any event, we have some details about Harmonix's upcoming cutesified LEGO Rock Band. Iggy Pop will be appearing in the game, as the tutorial voice, and also in plastic action figure form, as you an see above. Iggy's song "The Passenger" will be in the game's song list. 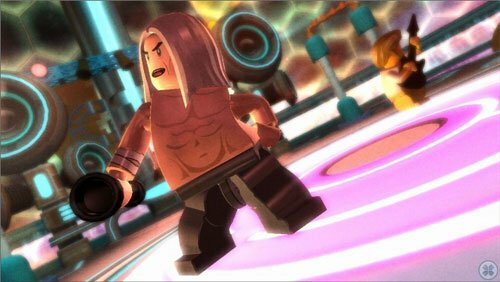 LEGO Iggy is cool and all, but the real good news is that the songs on the LEGO Rock Band disc will be exportable into Rock Band 2. After this feature was (understandably) left out of The Beatles Rock Band, it's good to see we'll be able to rock out to "The Final Countdown" and "Ghostbusters" (aww yeah!) in non-LEGO form if we want!